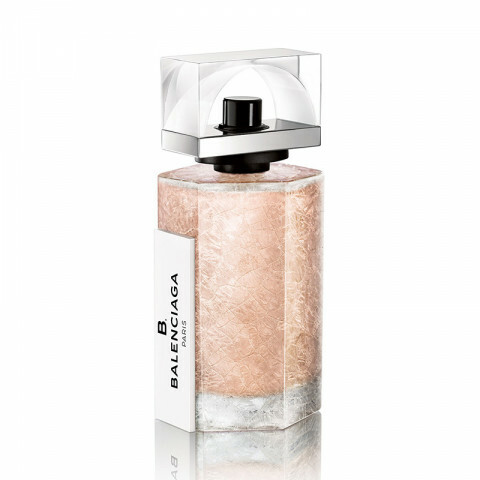 B.Balenciaga Eau de Parfum is a sophisticated, sensual and feminine scent that paints a portrait of a woman unveiling her most essential self. The more she reveals, the more intriguing she becomes. It opens with green notes of lily of the valley bell, violet green leaves accord and edamame accord. Top: lily of the valley bell, violet green leaves accord, edamame accord. Middle: iris root, cedarwood heart. Base: ambrette seeds, cashmeran wood. I am a perfume addict and have tried many, many fragrances. B. Balenciaga is my absolute fragrance ever! It is a perfect balance of warmth and fresh. Nothing heavy, nothing floral, nothing too light. So unique. You will love it and the sale price makes me want to buy 3 backups!